The PWS Domed Helical Antenna offers unparalleled drop-out free RF performance for IEM, wireless mics and intercoms. PWS Domed Helical Antennas are part of a new generation of antennas that provide greater bandwidth, longer range, greater reliability and more flexibility than other antennas. Unlike traditional whip and other antennas which transmit and receive signals in a single polarization, the circular motion of the RF field emitted by a helical antenna distributes the signal through all possible polarization, greatly reducing the risk of drop-outs. The high gain ensures the strongest possible signal. Typical antennas for performing artists, whether for IEM or wireless mic applications, often are 1/4 wave whip antennas with a fixed polarization. Any movement of the wireless device and its antenna, with respect to the corresponding receive or transmitter antenna, can result in a polarization shift that can easily cause RF dropouts. 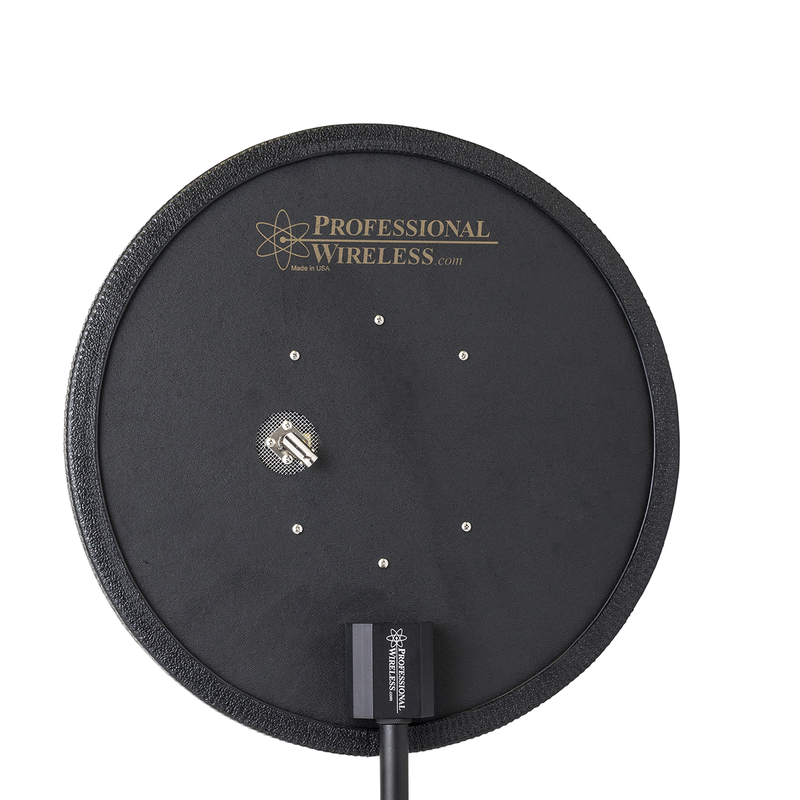 With the PWS Domed Helical, the RF energy rotates through all 360 degrees of polarization, providing crystal clear reception in the artist’s ears and in the wireless mics receiver no matter how they may move about or where they go on the stage. This makes the PWS Domed Helical Antenna particularly useful in large scale events, where it may be virtually impossible to control the orientation of both the sending and receiving ends of the wireless communication. It can be used as either a transmitting antenna or a receiving antenna where it excels in either application. 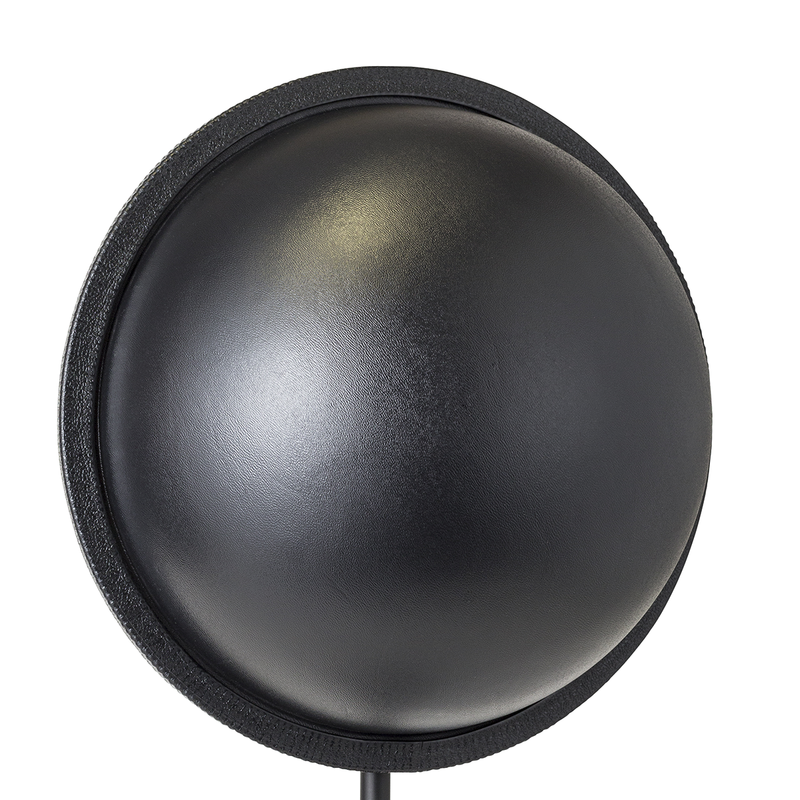 For venues and installations where site line appearance is a priority, the PWS Domed Helical Antenna features the same circular polarization as the original PWS Helical but in a sealed enclosure with a more compact profile. PWS Domed Helical Antennas have become the industry standard for multi-channel wireless microphone, in-ear, and intercom systems thanks in part to their unique characteristics, lending to extreme flexibility of use. With an inherent boost in gain, greater bandwidth, and drop-out free polarization, PWS Domed Helical Antennas truly outshine the performance of traditional antenna designs. Inconspicuous and robust, the PWS Domed Helical Antenna is a great choice when the requirements of aesthetics and function can’t be compromised.